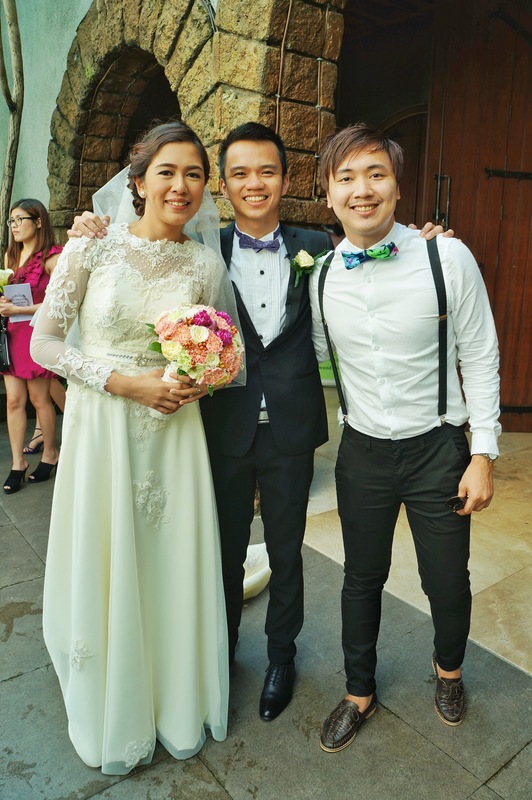 One of the reasons why I went home last August was to attend a very special occasion for a couple who is very close to me. Neil, a friend of mine for almost 15 years now and Hanna, his ex-girlfriend who turned out to be my girlfriend (just our friendly term of endearment) too, have tied the knot two days before my 27th birthday. 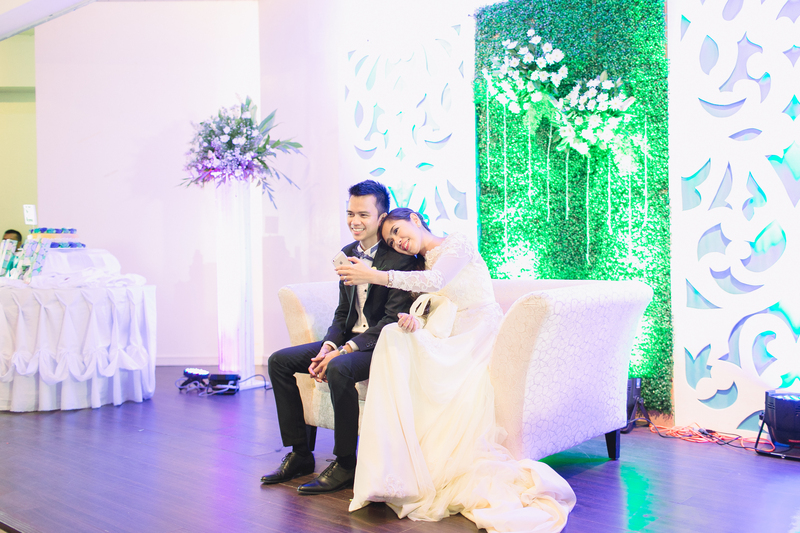 They are so special that I could not say no despite all the difficulties just to be home for their wedding. I even had to fight with the Department of Foreign Affairs here in Abu Dhabi just to extend my passport and POEA to release my OEC so that I could go home, but I made it! Being abroad for almost four years now, I’m already used in missing Christmas, New Year celebrations, birthdays and even friend’s weddings. 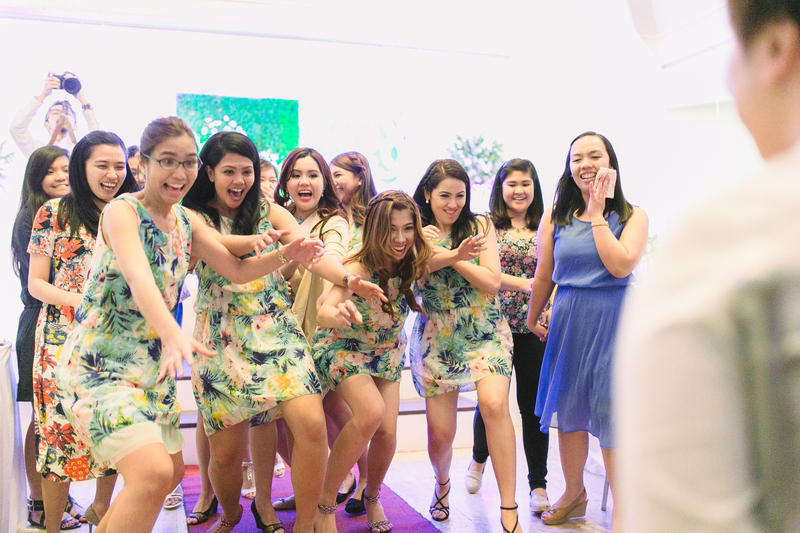 It was the first time I attended a friend’s wedding (hurray!) and I really had fun! 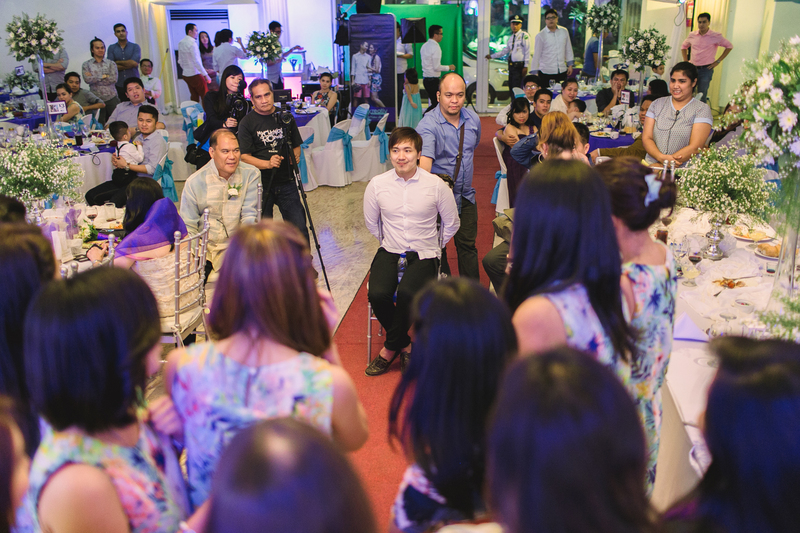 The celebration was full of laughter, dances and even games that made it so lively and yet very sentimental for the couple as they share their journey. It paved way for a reunion between us because some of our friends abroad who also went home for the occasion, making it more memorable. Neil was high-school classmate but our friendship did not end after our graduation. We continued to be connected (as much as we can), while Hanna has been my constant text-mate even I’m miles away from home. We remain connected by sending our OOTD’s, tantrums, rants basically anything and everything about our everyday life. She even helps me at work – I call her my ‘secretary’ specially if I need her english skills (wag mo na sya tangkain awayin kung ayaw mong basahan ka nya ng penal code). lol! 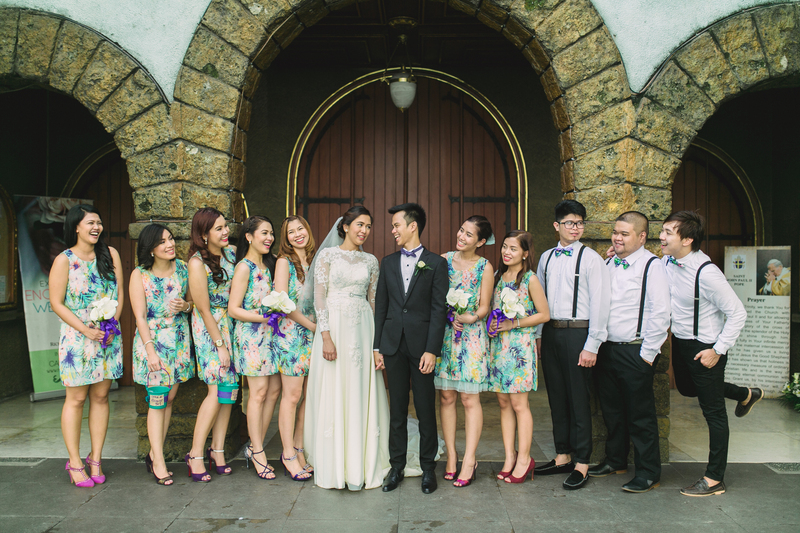 My heart was filled with joy seeing them in front of the altar exchanging their vows. I’m just so happy for them. Though there was a part of me thatI felt sad – I’m 27 years old and felt like I’m behind. My friends are moving forward with their lives and getting married, planning their families, while me……never mind. It’s too complicated but I’m happy and contented. I don’t mind being the third wheel! So here are some photos during the #FinallyNañasca last August 8, 2015 happened in St. John Paul 2 Parish Church. There’s something funny about this picture. Guess what? My other high-school friends, Tom and Puks! Lighting the candle was harder than I thought! I was part of the entourage. So? Easy ladies!!! (Look at my best friend!) LOL! On the spot singer! – Pati. Our Mamita! We all love her! Wishing the newly wed couple all the best on this new chapter and looking forward to Neil Jr. and Little Hanna!